Over the weekend, my boyfriend and I went hiking in an area that he found in Sudbury, Mass. called Assabet River National Wildlife Refuge. 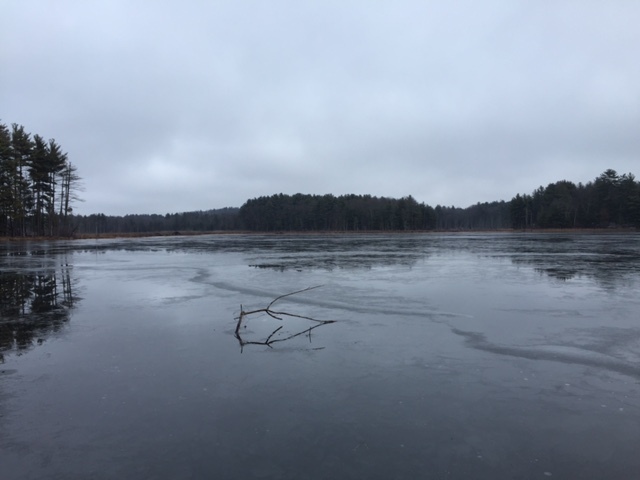 The 2,230-acre refuge is beautiful and once we stopped walking over the crunching ice that our cold New England nights brought, it was completely silent. Think: totally serene, without another person, car, building, or iPhone in sight. We had only been on the trails for a few minutes, when we came across this huge bunker. 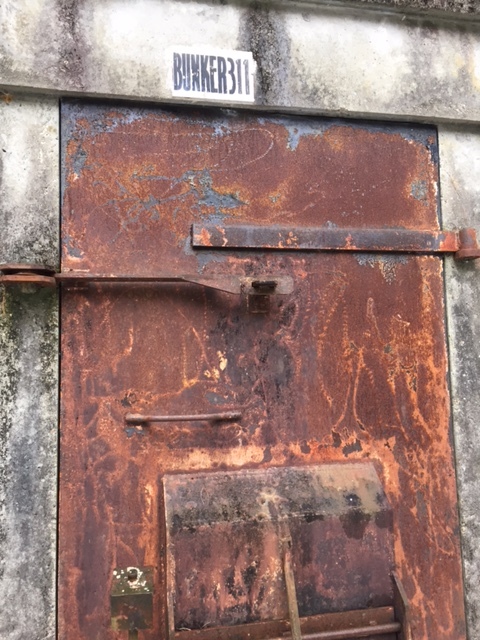 We went over to check it out, and its steel door was welded shut, making us even more curious to its use. Mid-hike, I had to know what these were since they were popping up everywhere along our trail (so yes, an iPhone became in sight at this point). It turns out that before the refuge was turned over to the U.S. Fish & Wildlife Service in 2000, the land belonged to the U.S. Army and was known as Fort Devens. These bunkers were used as ammunition bunkers in the World War II era. How cool is that? That’s all I needed to know to become so interested in the history of the land we were walking on, but we kept calm and carried on. Once we were home and relaxing after our three hours of exploring the outdoors, I researched this area a little bit more. I found that there were actually 50 of these bunkers, officially referred to as “igloos,” and each has an inside dimensions of 81x26x12 feet, with a curved roof. 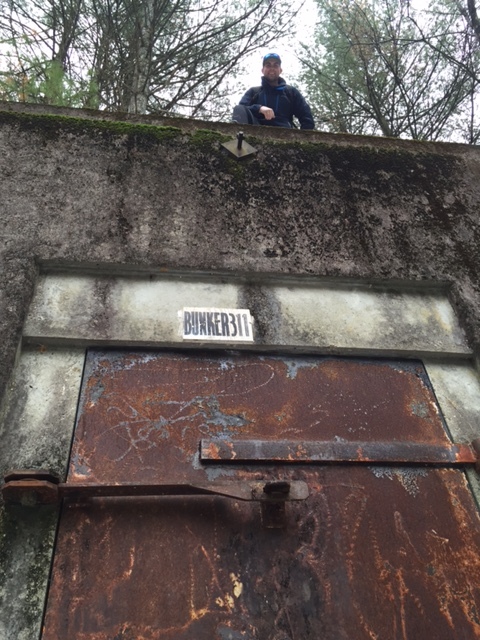 Bunker #303 is sometimes open for tours – I will need to find out when and go back! The site was chosen because of its convenient railroad shipping to the Boston Navy Yard, yet far enough inland so that a German battleship could not attack the area. Seriously, I just think this is so cool. After WWII this site served as a troop training ground, ordinance testing and laboratory disposal area. A 1980s assessment led to this being categorized as an EPA “Superfund” clean-up site in 1990, as the site was contaminated with arsenic, pesticides and other chemicals. Extensive Army clean-up efforts continued for years, ending with the site being turned over to the U.S. Fish & Wildlife Service in 2000 and opened to the public in 2005. So wear a hazmat suit when hiking. Kidding, but seriously for anyone who either loves WWII history and/or hiking, I’d definitely recommend stopping by here – it’s beautiful, and filled with so much history. If you’re as interested as I was, you can learn more about the land and its history here. Cheers! Wow. This is cool. Good for you guys!